PLE: 8” Hg vacuum reading divided by 2 = 4 power valve. Since there is no #4 power valve you should use a 3.5.
at idle your car produces more vacuum because the throttle blades are almost closed restricting flow into the intake, as you open the carb throttle blades vacuum drops off and flow increases, at some point the carbs increased air flow requires additional fuel to maintain the correct fuel/air ratio, the power valve controls the point where that fuel starts to be added using the drop in intake vacuum as the trigger to release more fuel. Holley's instructions, to use a PV that's half of your idle vacuum, are some what miss leading. They will ALWAYS lead you to choose too low a PV number, which in turn will force you to use too large jets, too much pump, etc. 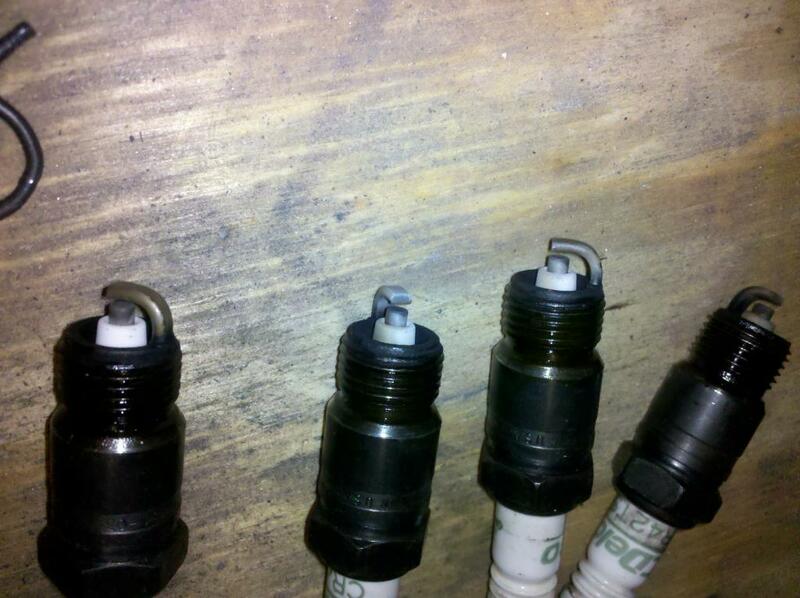 youll generally want to select a slightly higher number power valve if your getting a flat spot,. Keep raising the PV number until that flat spot clears up. youll also see advise saying that Basing the PV selection on idle vacuum is BAD advise that has floated around for a long time. If you take CRUISE vacuum, divide it in half and add about 2" you will be close. Most carburetors employ what is generally called a power valve circuit. This circuit enriches the air-fuel mixture when the carburetor goes to wide-open throttle (WOT). At WOT, intake manifold vacuum drops to almost zero. When this occurs, the power valve opens and directs more fuel into the main power circuit, in addition to fuel delivered by the main jets. 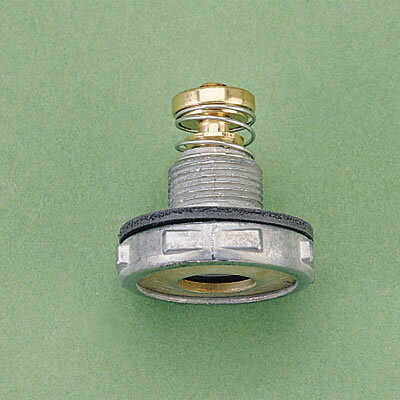 The Holley power valve employs a small rubber diaphragm that is opened by a small coil spring. The valve is held closed whenever sufficient engine vacuum is present. At WOT, engine vacuum disappears and the power valve spring opens the valve, directing fuel through a small, precise orifice in the metering block called the power valve channel restriction. This restriction determines the amount of additional fuel delivered to the engine. 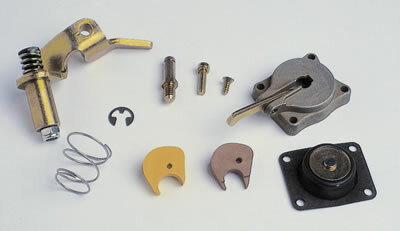 Power valves are used most frequently on the primary side of a Holley carburetor. They allow the carburetor to operate with much leaner main circuit jetting for part-throttle fuel economy. Then, when the throttle is slammed open, the power valve adds additional fuel, creating the rich air-fuel ratio needed for WOT operation. 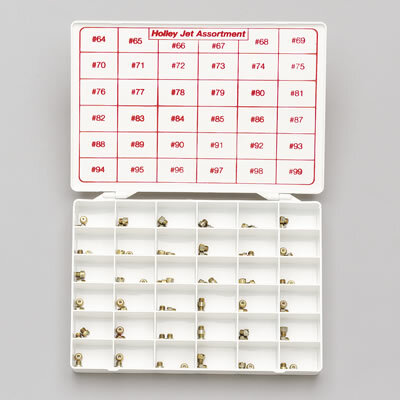 Most Holley power valve circuits are designed to add the equivalent of 8 to 10 jet sizes of additional fuel. Holley does offer a power valve block-off part that closes the power valve circuit, but this means the jet size must be increased in order to compensate for the lost power valve circuit fuel. Imagine how bad your fuel mileage would be if you had to add 10 jet sizes to the primary side of your carburetor!" High Flow Power Valves are intended for Alcohol applications while Standard are intended for Gas applications and a Gas application will not benefit from the use of High Flow Power Valves and in fact would run worse not better. So for gas applications stay with the Standard Flow Power Valve. The power enrichment system supplies additional fuel to the main system during heavy load or full power situations. 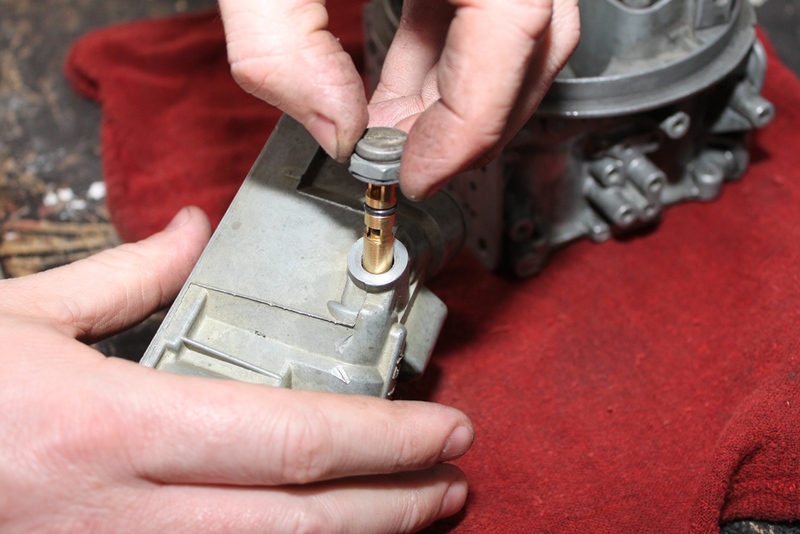 There still seems to be a lot of misconception about Holley carburetors blowing power valves. Nothing could be further from the truth, according to the company. Holley performance carburetors since 1992 have utilized a power valve check system that effectively eliminated this infrequent problem. 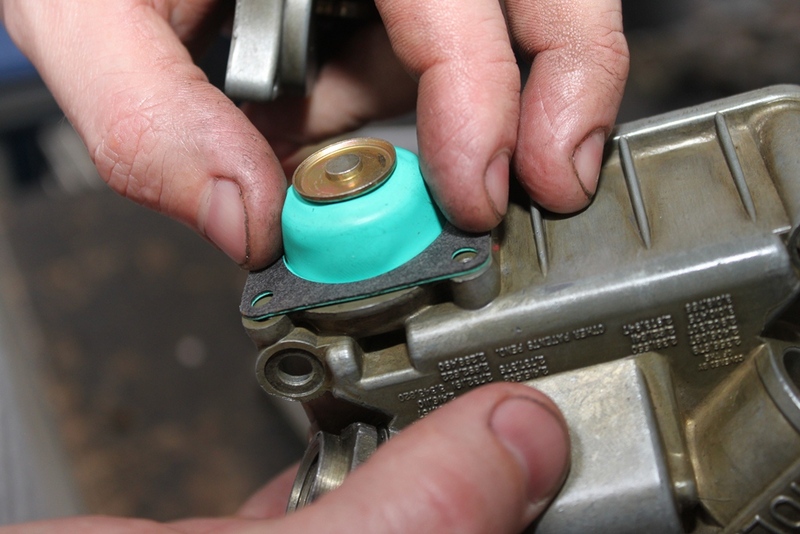 Consisting of a spring, brass seat and check ball, the check ball system is 100% effective protecting the power valve diaphragm from damage due to engine backfire. The power valve check ball is designed to be normally open but quickly seals to close off the internal vacuum passage when a backfire occurs. Once closed, the check valve interrupts the pressure wave generated by the backfire, thus protecting the power valve diaphragm. There is no way that the power valveâ€™s diaphragm can rupture due to an engine backfire, according to the company. Holley carburetors utilize a vacuum operated power enrichment system and a selection of power valves is available to â€œtimeâ€ this systemâ€™s operation to your specific needs. Each Holley power valve is stamped with a number to indicate the vacuum opening point. For example, the number â€œ65â€ indicates that the power valve will open when the engine vacuum drops to 6.5Ë or below. An accurate vacuum gauge, such as Holley P/N 26-501, should be used when determining the correct power valve to use. A competition or race engine which has a long duration high overlap camshaft will have low manifold vacuum at idle speeds. If the vehicle has a manual transmission, take the vacuum reading with the engine thoroughly warmed up and at idle. Most of the popular Holley â€œStreet Legalâ€ and â€œStreet Performanceâ€ carburetors incorporate a power valve blow-out protection system. A special check valve is located in the throttle body expressly for this purpose. This check valve is designed to be normally open but will quickly seat to close off the internal vacuum passage when a backfire occurs. Once closed, the check valve interrupts the pressure wave caused by the backfire, thus protecting the power valve. If you have a carburetor older than 1992 (or you have experienced an extreme backfire) and expect a blown power valve, use this simple test. TEST: At idle turn your idle mixture screws (found on the side of the metering block) all the way in. If your engine dies the power valve is not blown. Main Jet: Controls the amount of fuel that enters the Main Well of the metering block. Main Well: The passage that carries fuel from the jets to the Boosters. Booster: The ring that is visible when looking down the throttle bore. 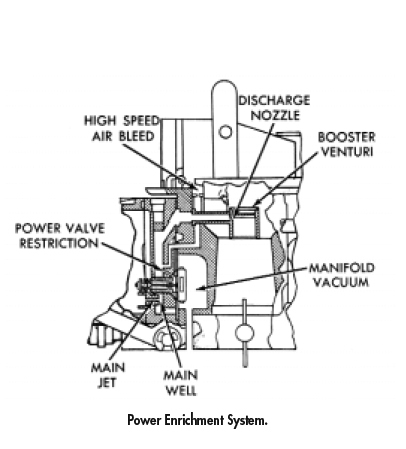 Power Valve: A vacuum operated device that controls the activation of the power valve system (more on this later). Power Valve Channel Restrictions (PVCRs from now on): Two small holes, one for each Main Well, that act like jets to control the amount of fuel delivered from the Power Valve System. First let's start with the Power Valve itself. A Power Valve is little more than a vacuum operated on/off switch for fuel. 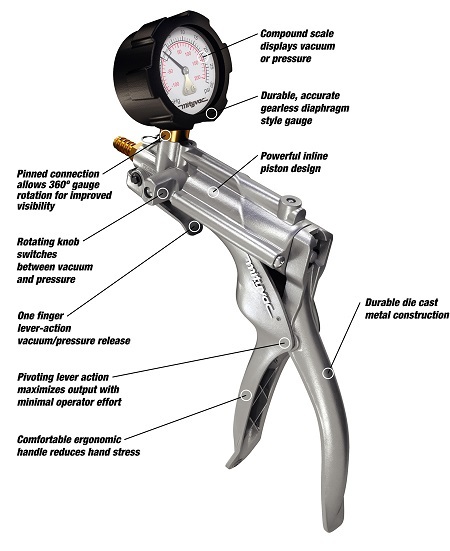 It operates using a vacuum diaghram and a spring, which determines when the valve opens. I believe this is best explained using an example. Let's use an engine that makes 13" manifold vacuum at idle, a typical lightly modified performer. Knowing that value, we know that a 6.5" rated power valve would be used (typical power valve selection is 1/2 the amount of vacuum at idle, in our case 13/2=6.5). So, during idle and light cruising (above 6.5" vacuum) the power valve will be in the closed position ("off"), but during moderate to full throttle operation the vacuum will drop to below 6.5" and will cause the valve to be open ("on"). The power valve itself doesn't control the amount of fuel delivered, that's the PVCR's job. Now to the Power Valve System (PVS from now on). The easiest way to explain the PVS is that it functions like a vacuum actuated set of jets built inside the metering block. What this means is that when the power valve is activated ("on") it will allow fuel to flow through the PVCRs into each main well (one for each main jet), on it's way to the boosters, thus making the fuel mixture "richer". This system is one of the reasons Holley carburetors are so tuneable. It allows the carb to be jetted for maximum economy / driveability, while at the same time making it possible to tune for full throttle performance without having to rely soley on the secondaries. Remember the PVCRs control the amount of fuel delivered, not the power valve. 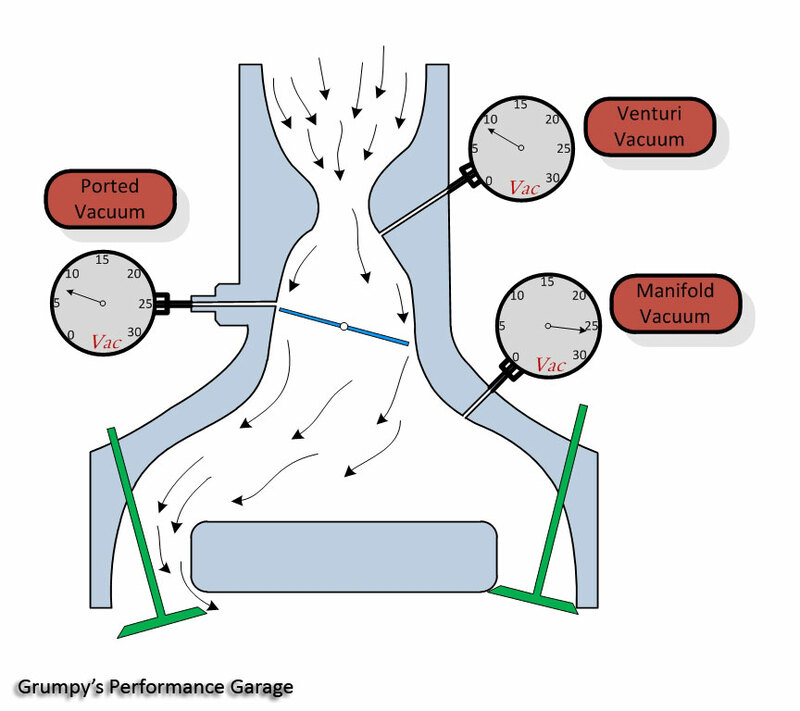 Why does the carburetor need a PVS? It all comes down to economy vs driveability vs performance. For the sake of simplicity, I'll leave out the secondary system and focus solely on the primary side. If there were no PVS, all of the fuel required would need to be delivered by the main jets. This is a problem because as engine vacuum decreases the need far a larger jet arises since the booster signal weakens. 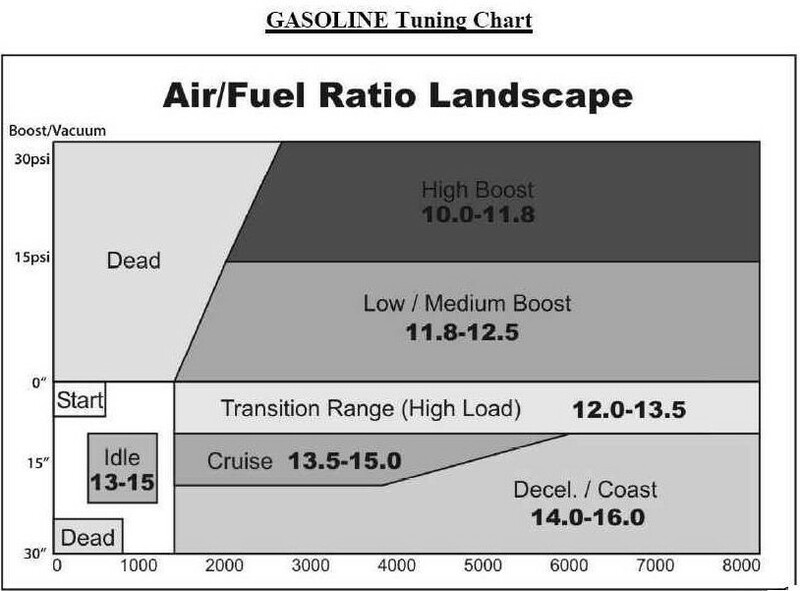 What this means is that if a carburetor was jetted for idle / cruising situations, the moderate / full throttle performance would suffer, and be too lean. On the other hand, if the carburetor was jetted for maximum full throttle performance it would run too rich at idle / cruise, since the higher vacuum draws a stronger signal. The PVS was designed to combat this very problem, and does it very well. Removing (blocking) the Power Valve from the secondary block. This is something that is very common practice among racers. The reason it works in the secondaries and not in the primary is because you never use the secondary circuit while just idling or cruising around, so the problem listed above doesn't exist. Just remember that if the secondary power valve is removed (blocked) the jets must be increased to compensate of the lack of fuel. Usually an increase anywhere from 6-10 sizes is needed, depending on PVCR size and carburetor cfm. There is a lot of misunderstanding concerning power valves in Holley carburetors. Many 4-barrels come with a particular power valve depending on the carb list # and application. Some carburetors have two power valves, while others only have one. The power valves are numbered by the amount of engine vacuum in inches at which they will open and add additional fuel to the power circuit. In other words a 6.5 power valve will open when the vacuum signal on the engine drops below 6.5" of vacuum and will remain closed above. One of the misconceptions is that they can't be trusted to work because an engine backfire can "blow out" the power valve. Many of the newer Holley performance carburetors now come with a built in power valve "blow out" protection which eliminates this problem. 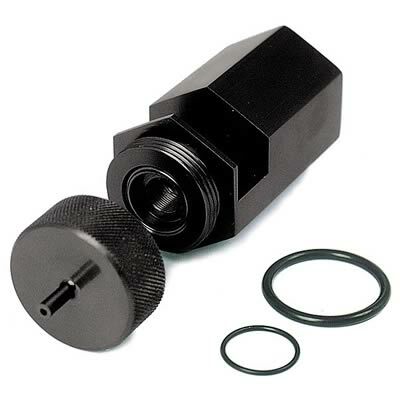 If you have an older model carb you can purchase a small, inexpensive, easy to install Holley kit #PN - 125-500 that will protect the power valves in case of an engine backfire in the carb. I use the CENTEK, "Power Valve Shield". See their website at www.powervalveshield.com , which takes about two minutes to install and does not require any drilling. Many tuners will automatically remove the power valves and use a "plug" thinking this is the "hot" ticket. However, if the power valve is removed and plugged, the main jet size must be increased 6-10 jet sizes to make up the required fuel amount lost by the removal of the power valve. When the power valve circuit is plugged, part throttle fuel economy is lost and may become overly rich. Plug fouling may become a problem at part throttle. Stock engines have high vacuum readings (10-18 inches at idle) and the Holley power valves with higher readings like 6.5 to 10.5 will work. Longer duration non-stock camshafts and other performance related parts can cause a problem, because engine manifold vacuum may be lower. The power valve, if incorrect, will always be open, even at part throttle, leading to an overly rich air/fuel mixture. The solution is to choose the correct power valve. To determine this, you need a vacuum gauge. On a manual transmission vehicle, hook up the vacuum gauge and take the reading with the engine at idle. Then use a power valve that is rated 1-2 inches below that amount. For example, a motor that shows 7" of vacuum at idle should use a 6.5 or 5.5 rated power valve. If you have an automatic transmission, take the vacuum reading at idle in "DRIVE" (with the emergency brake on and the wheels blocked) and chose the power valve 1-2 inches below that figure. 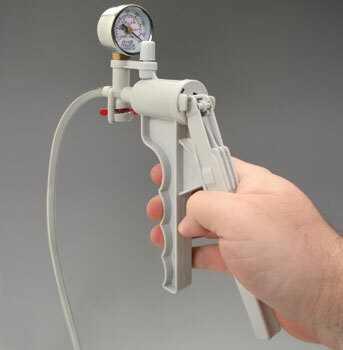 You can get a little more detailed information by driving the car with a vacuum gauge hooked up with a longer hose so you can read it while driving. Drive the car at medium loads and while cruising and note the various vacuum readings. Then chose the appropriate power valve rating. 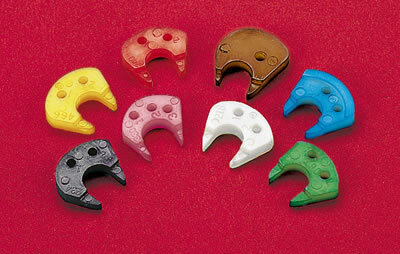 Holley makes a performance style "standard" flow or the "high" flow power valve. The latter has larger openings for more fuel flow with bigger engines. "Single stage" power valves are available in 1" increment sizes from 2.5" thru 10.5". Holley also makes a "two stage" power valve that is more for "economy" minded users rather than "performance" enthusiasts.